We’re continuing our efforts to make an impact on the huge and growing problem of rabbits being made available in classified ads online, often by unlicensed breeders and with no care advice. Our new Welfare Officer, Georgia, is still working hard on the data that is being generated by Hindesight, which we told you all about in the last issue. It is also available on our website under Campaign Updates, if you missed it. She has been reporting sellers and, as we expected, is getting varying results from each local authority that she is dealing with. Many of these cases are still outstanding so we will hopefully be able to give you more of an update next time. Georgia is logging all of the cases that she reports and the various responses and outcomes from each local authority. We will be submitting this to DEFRA to highlight the gaps in the legislation at the end of this 12 month project. As an ex RSPCA Inspector and holding a law degree too, Georgia is a huge asset to the RWAF and we are very fortunate to have her working with us on this project. She has also been responding to reports of cruelty and advising members which course of action to take. We were absolutely thrilled when Pets Corner were the first large retailer to announce they would not be selling rabbits over the Easter 2016 period. This was closely followed by Pets at Home, and there was a lot of publicity from both retailers around this and their public commitment to the amnesty. We then contacted Jollyes and Pampurred Pets, the next biggest retailers, to ask if they would be doing the same. They both confirmed to us that they would, but they did not make an announcement or public commitment. It was a shame that both Jollyes and PamPurred Pets missed the opportunity to make a public pledge and this seemed to us a bit non-committal on their part. So, we have contacted them all again in plenty of time to get their commitment for 2017! “We were really encouraged by the positive response to our decision not to sell rabbits over Easter. 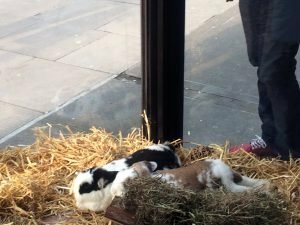 Instead we held workshops in our stores to help young people understand the responsibility that comes with pet ownership, particularly rabbits. These were attended by nearly 9,500 people, which is fantastic”. M Moorcroft, Head of Pets. The RWAF submitted a response to Defra’s landmark consultation on animal establishment licensing in the UK, to voice our opinion on how this affects rabbit welfare. which closed Saturday 11 March, is the biggest review the Government has ever undertaken on animal establishment licensing and takes into consideration a range of animal welfare issues. All major welfare organisations and veterinary bodies such as the BVA, BSAVA and BVZS have submitted responses and we hope that the English Government will give serious consideration to them all. 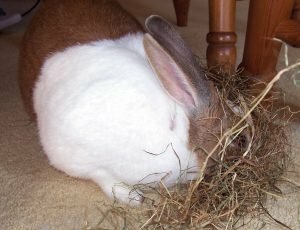 We know that the wonderful Camp Nibble submitted a brilliant response and hope that between us we have raised the many serious rabbit welfare issues that need to be addressed. We are certainly not alone in feeling that much of the current animal licensing legislation is out of date and needs to be revised to take account of the changes that have occurred since it was originally introduced (Pet Animals Act 1951, Animal Boarding Establishments Act 1963). When there is more news, we will let you know. ‘The Hidden Economy’, as this directly ties up with our work on the Capone Campaign too. Back in 2014, after some correspondence, Wilko confirmed that the unsuitable rabbit hutch that we challenged was removed from sale, and that remains the case. However, we are concerned that they are selling a muesli called ‘fibre feast’ (lower in fibre than the 20% recommendation) and claim that it is “2 of Rodney’s 5 a day”, making it sound healthy, when of course it is not. It is very misleading to customers who may feel that they are feeding their rabbits a healthy diet instead of creating a huge risk of expensive and painful dental disease. Wilko eventually told us that they have no plans to remove muesli from sale, but that they will consider giving better feeding instructions. We have urged Wilko to read the research and remove this type of food from sale. Perhaps you could contact them and ask them to do the same? We have enough problems to overcome without retailers who know nothing about rabbits or animal welfare, selling products that affect their health and welfare, when they do not need to! This also applies to Argos who appear to have started to sell hutches again (they removed them from sale back in 2011 after pressure from us) and Very who have again removed a small hutch from sale after public pressure – thanks to everyone who made their voice heard on that one. When we saw an advert for a ‘bunny spa’ in Covent Garden just before Easter, our hearts sank. This seemed at first glance like something akin to the ‘rabbit cafes’ that are popular overseas and we fear will become more common here in the UK eventually, too. Our policy is always to get the facts and give advice privately. We are not going to be approached to give advice if we are always seen to be publicly attacking other organisations. So, we contacted 7th Heaven, the company behind the bunny spa, and soon discovered that things were not at all what they seemed! 7th Heaven is a cruelty free brand. 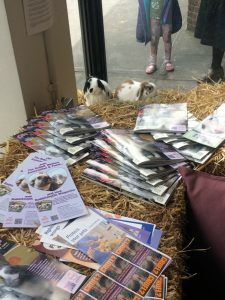 Their products are not tested on animals and they wanted to use the bunny spa to promote cruelty free products, whilst raising awareness of rabbit welfare. The twist to the day was that the rabbits would be roaming free whilst the people were ‘tested on’ (with a free face mask!). It was very clear to us that 7th Heaven wanted to get this right and were open to any suggestions we made in the interest of the rabbits’ welfare. We gave them lots of advice and then went along to check it out, and were pleased that our recommendations were in place. The rabbits were safe behind some straw bales, they were a pair of rescue rabbits (belonging to the staff, so they had not travelled far), they had a nice big area to play in, they were not being handled, they had hiding places, lots of hay and herbs available, and there were staff from RSPCA or RWAF there every day to answer questions and make sure the rabbits were happy. The event was really popular and it generated a lot of interest. The people that went along saw a lot of important welfare messages and could ask questions. 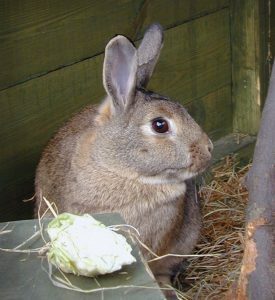 The rabbits roaming in their large, secure enclosure were a great example to the public how rabbits are meant to live.